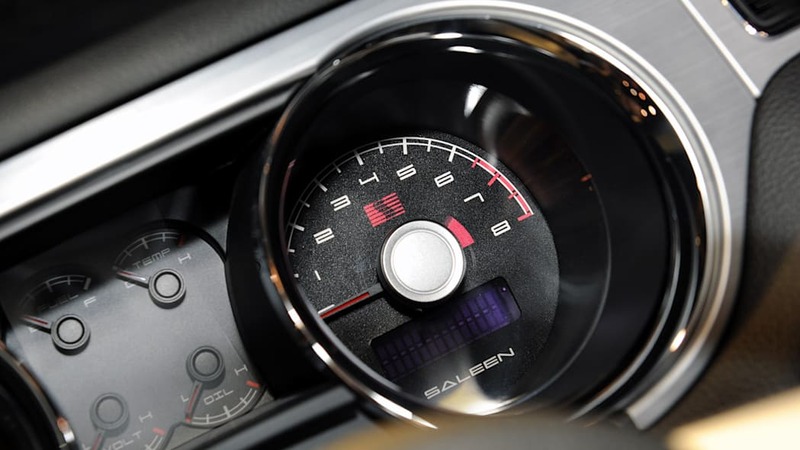 After a few teasers photos via Flickr, Saleen Performance Vehicles has finally given us our first live view of its 2010 S281 Mustang. Those initial pictures showed lots of potential, and our positive first impressions were confirmed when we saw the car in person. 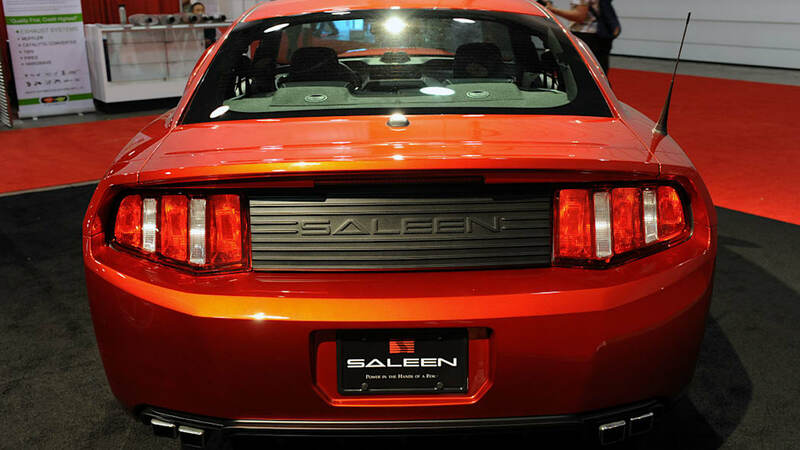 To put it bluntly, Saleen has perfectly hit the mark with their new design. 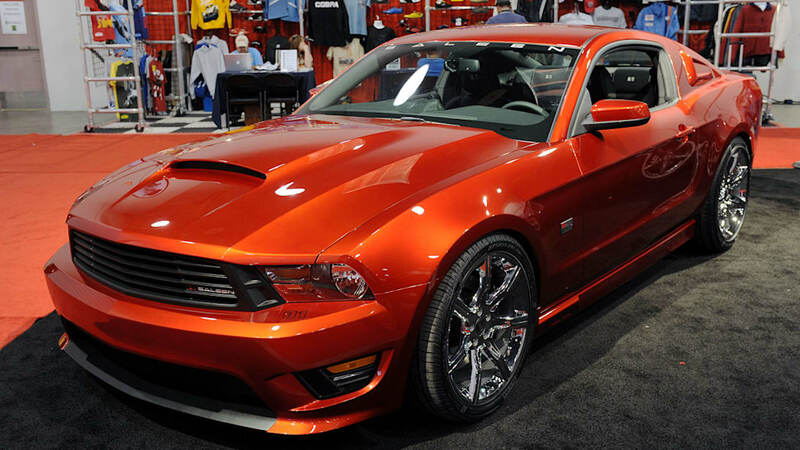 The modern design flows perfectly with the lines of the 2010 Mustang, even better than with the previous car. 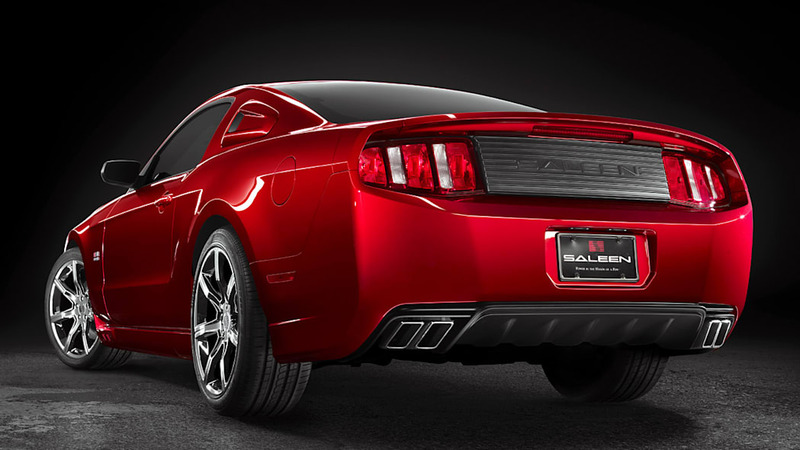 We especially love the rear of the 2010 S281, which essentially fixes the awkward taillight design by extending the rear fenders and recessing the lights. 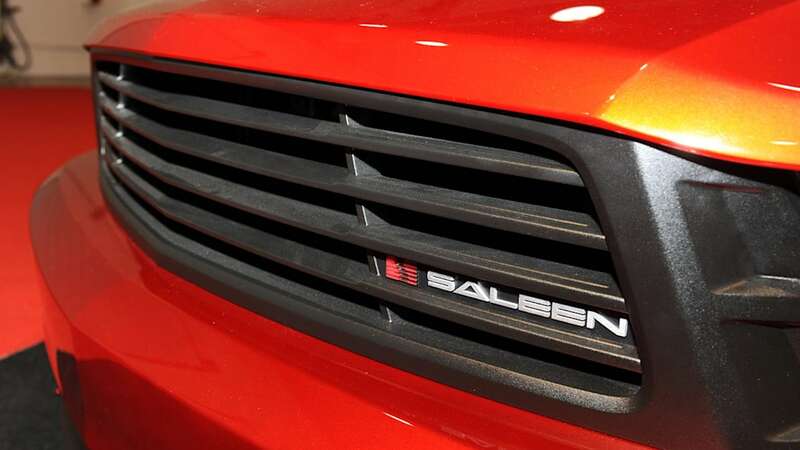 Saleen has done well with the little details too, like the slick-looking shifter and the glowing Saleen emblem in the door panel that replaces the pony logo. 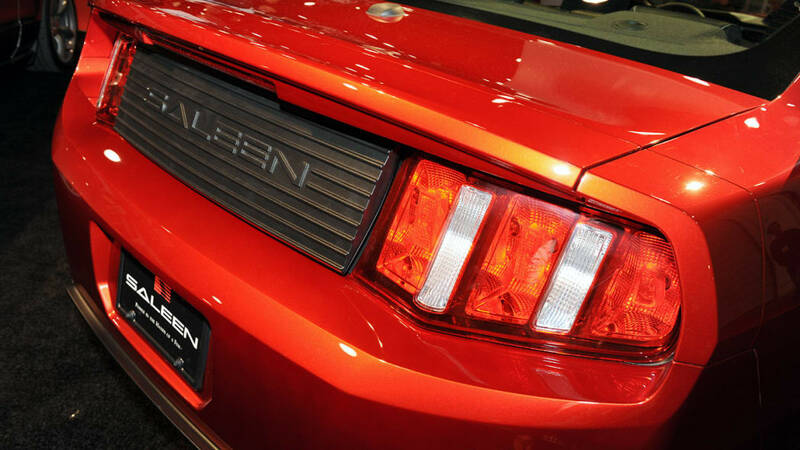 As far as performance goes, Saleen is sticking with what has worked in the past. 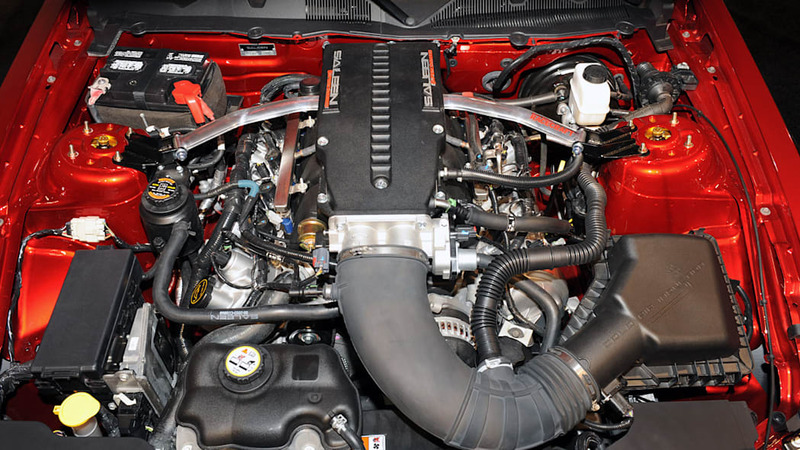 They have affixed their Series VI supercharger system atop the 4.6L V8, which is good for 485 horsepower and 460 lb-ft torque. The S281 also gets a new Racecraft suspension system, 3.73:1 gears, and 20-inch wheels with Pirelli P-Zero Rosso tires. 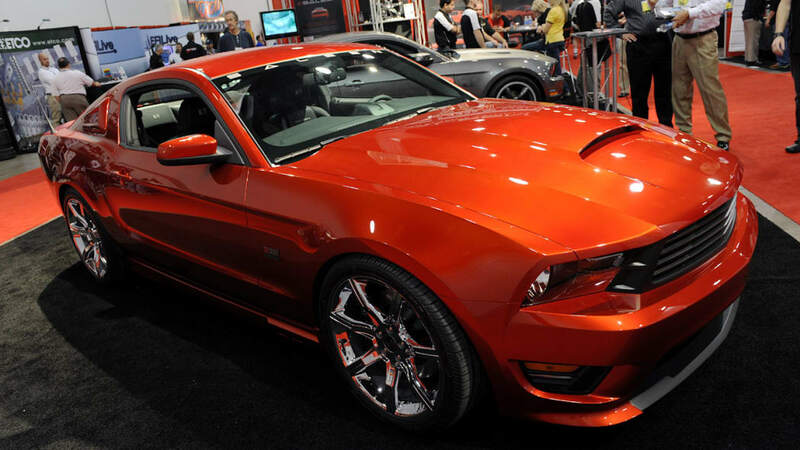 Pricing has yet to be announced, but expect MSRP to come in around the mid $60,000 range. 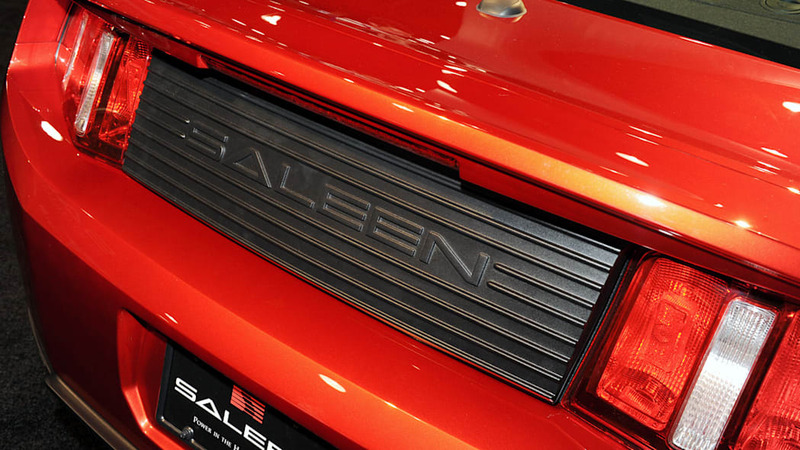 Follow the jump for the official press release from Saleen, and check out the official and live photos in the high-res galleries below. 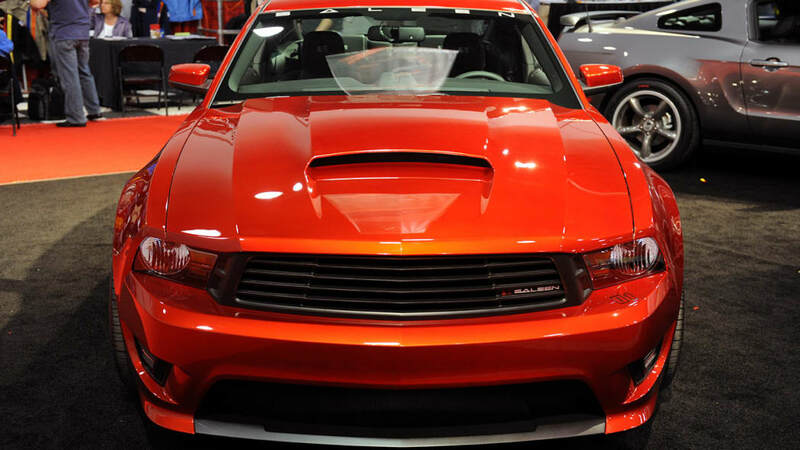 LAS VEGAS, Nev., Nov. 4, 2009 – Saleen Performance Vehicles today unveiled the first in its 2010 premiere line of high-performance cars, the 2010 Saleen S281. 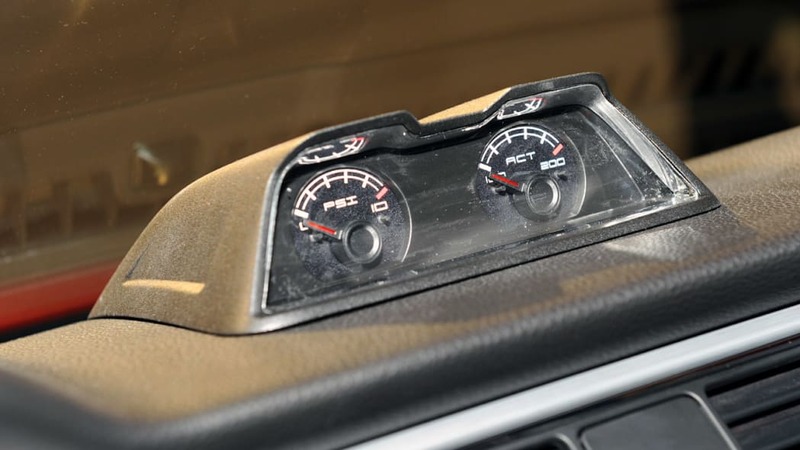 The introduction took place at the annual SEMA (Specialty Equipment Market Association) Show at the Las Vegas Convention Center. 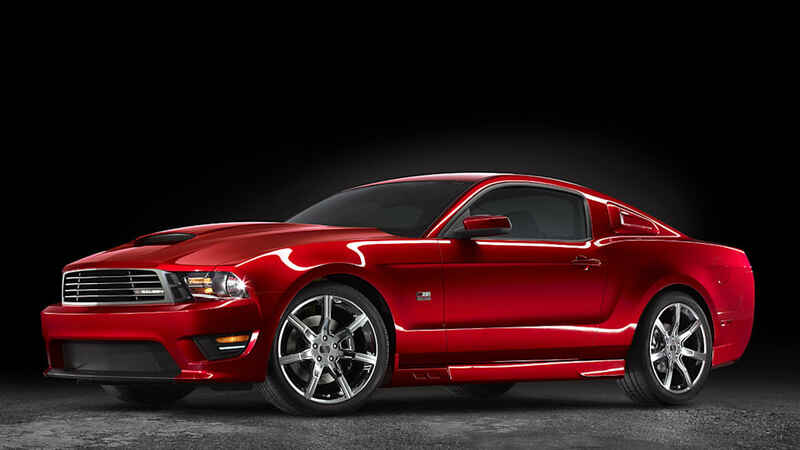 This is the second Saleen vehicle launched this year, following the 2010 435S introduced in August. 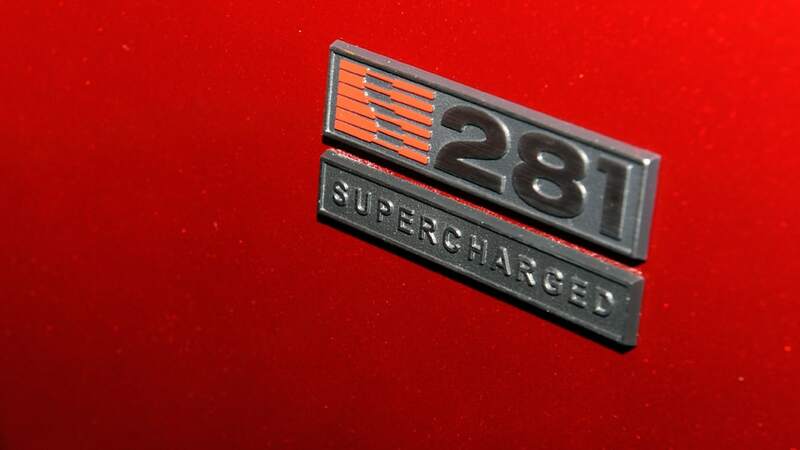 The S281, based on the 2010 Ford Mustang, displays a premium level of design consideration, both exterior and interior, with performance to match. 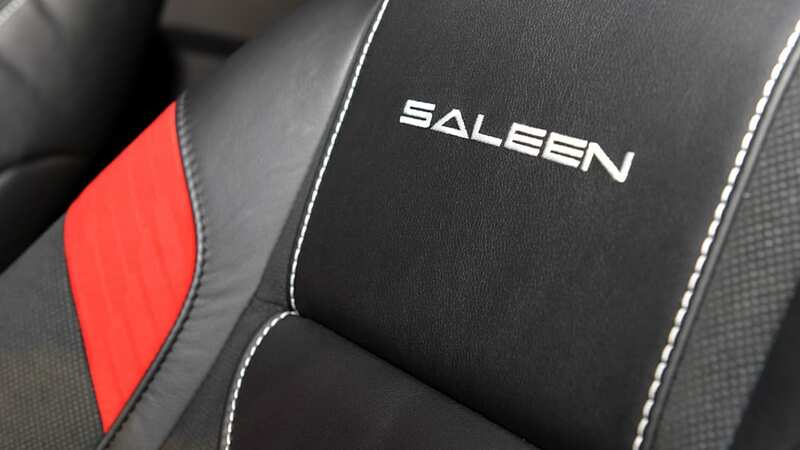 It builds on the Saleen tradition of offering limited-edition, high-performance vehicles for enthusiasts who are looking for an exhilarating driving experience, with refined driveability for real-world road conditions. 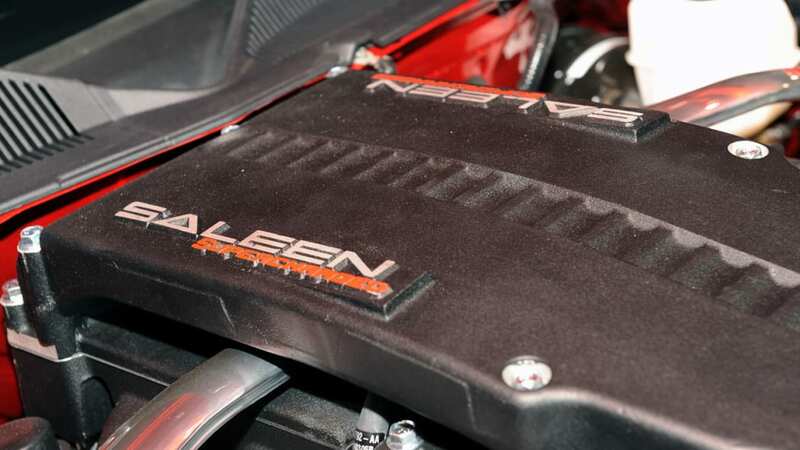 "For more than 25 years the Saleen name has stood for excellence in design, engineering, and driving dynamics," said Mike Shields, CEO of Saleen Performance Vehicles. 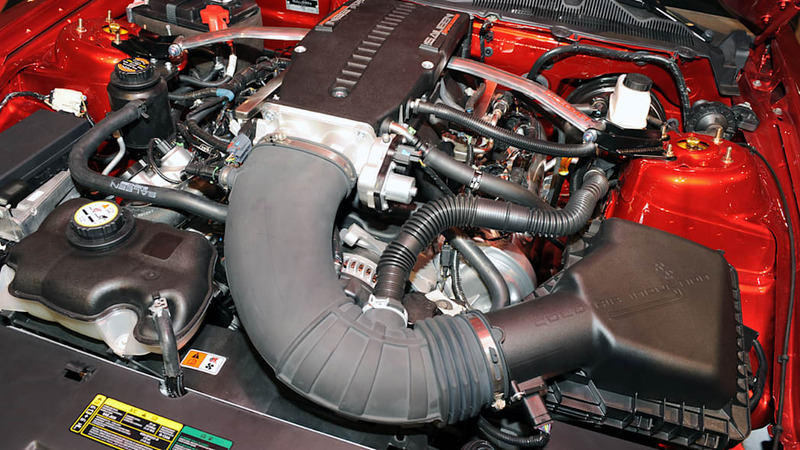 "The new S281 is an excellent example of what those words mean when we craft concepts into real cars. 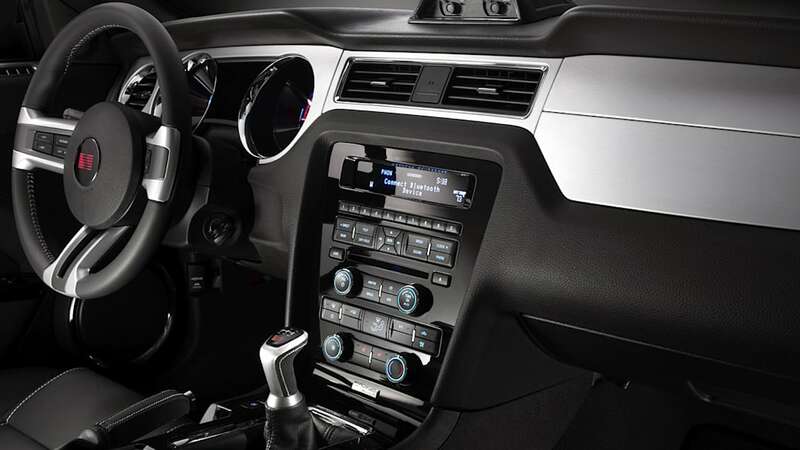 Our team has done a terrific job; I'm proud of them and proud to be offering this car to our customers." The S281's exterior design features carefully crafted sculptural detailing, with lines and forms that flow naturally and suggest suppleness, power and agility. 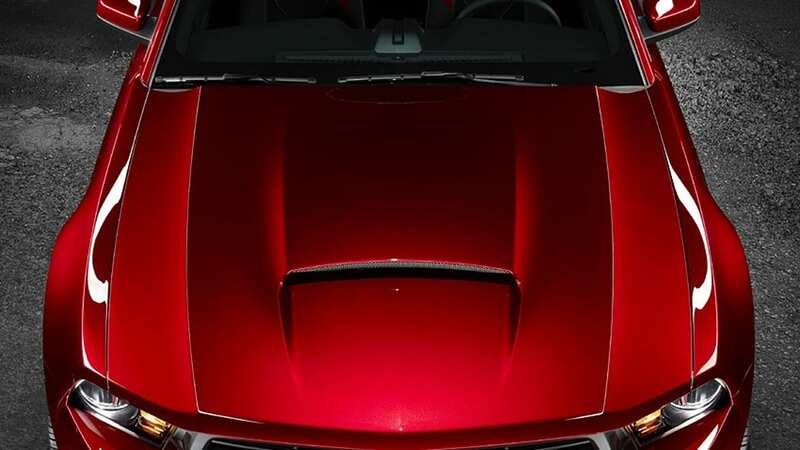 It features an understated yet imposing grille and front fascia, and a refined treatment of the familiar Saleen extended rear fascia and trunk lid with a simple, elegant, integrated wing. 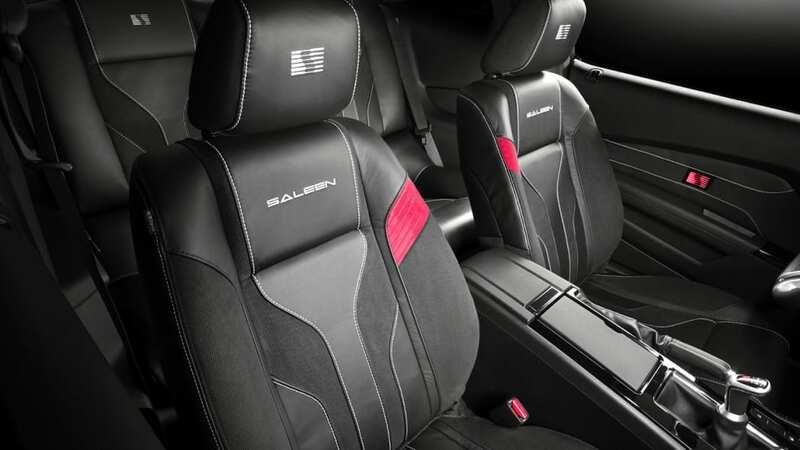 "Our goal was to create the most visually enticing American sports car ever," said David Byron, design director at Saleen Performance Vehicles. 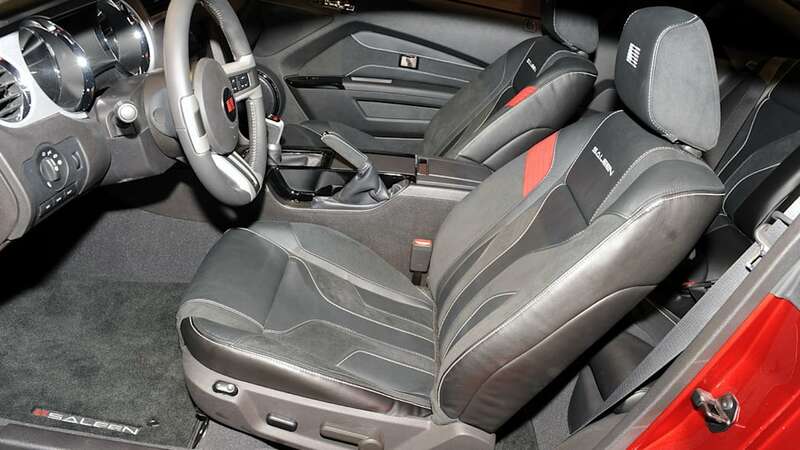 "Ford provided the perfect launching pad with the 2010 Mustang, which allowed our team to create a car that's world class and authentically Saleen. We painstakingly toiled over every bend and break in the body and every stitch and fold in the interior." 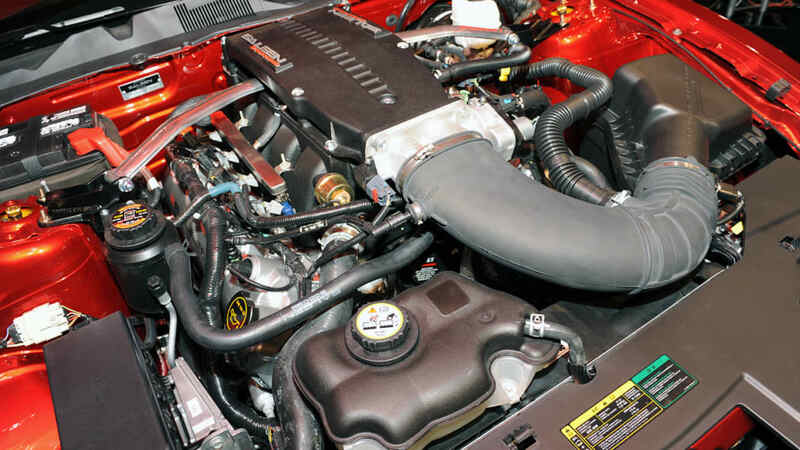 The S281's 4.6-liter V8 engine is equipped with a Saleen Series VI.5 twin-screw supercharger and dual-stage intercooler. 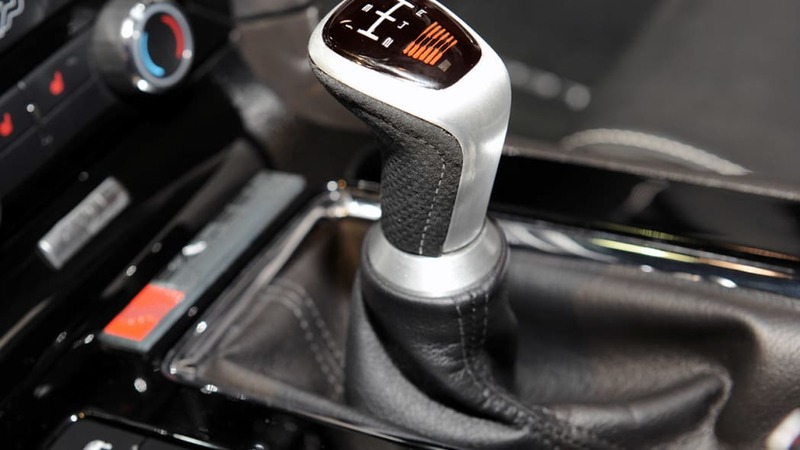 It produces 485 hp and 460 lb.-ft. of torque, sent to the rear wheels through a short-throw, five-speed manual transmission and a limited-slip differential with 3.73:1 final drive ratio. 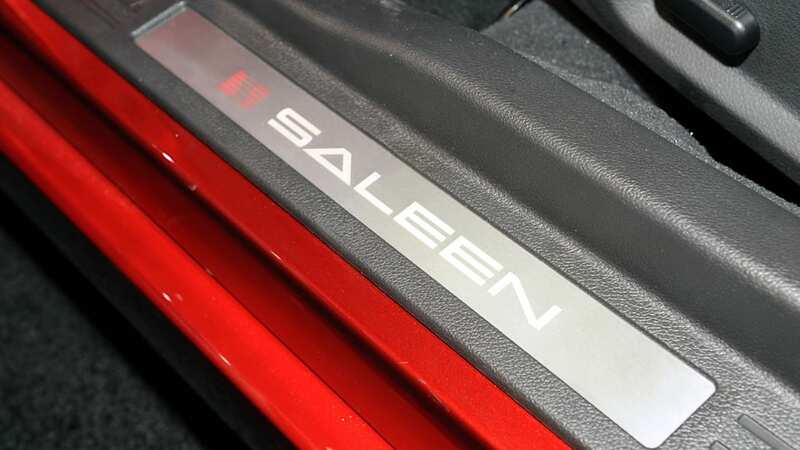 The Saleen Racecraft suspension system is new, and includes specially tuned, single-rate front and rear springs; nitrogen-pressurized front struts and rear shocks with a wide range of damping adjustments; and a specially tuned front sway bar with performance pivot bushings. 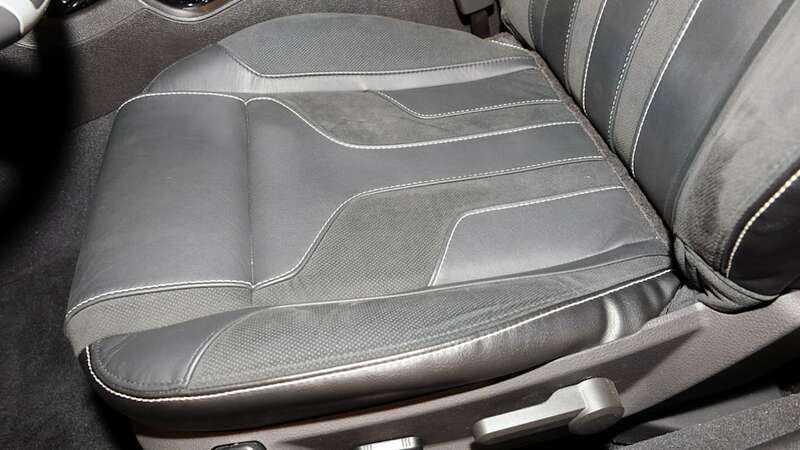 The interior features new, leather sport seats with Ultra-Suede inserts, highlighted by chevron-like Ultra-Suede red tabs in the seatback bolsters, and unique treatments of the gauges, steering wheel, center console and shifter. 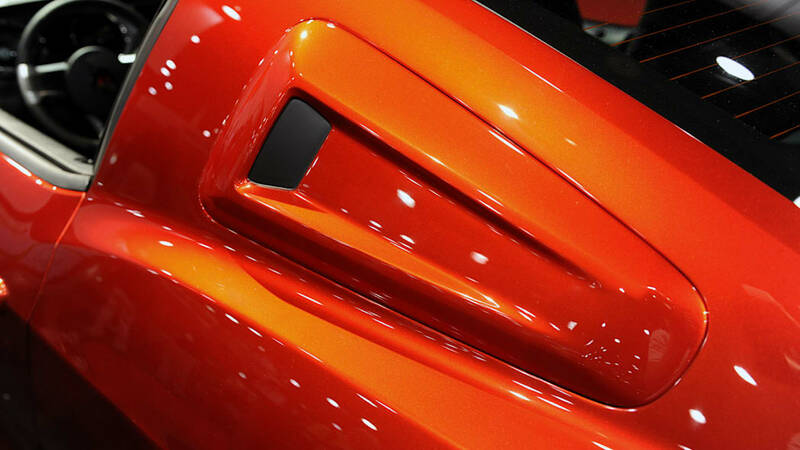 There also are contrasting Saleen logos in the door panels, and Saleen logos in the door sill plates that illuminate when the door is opened. 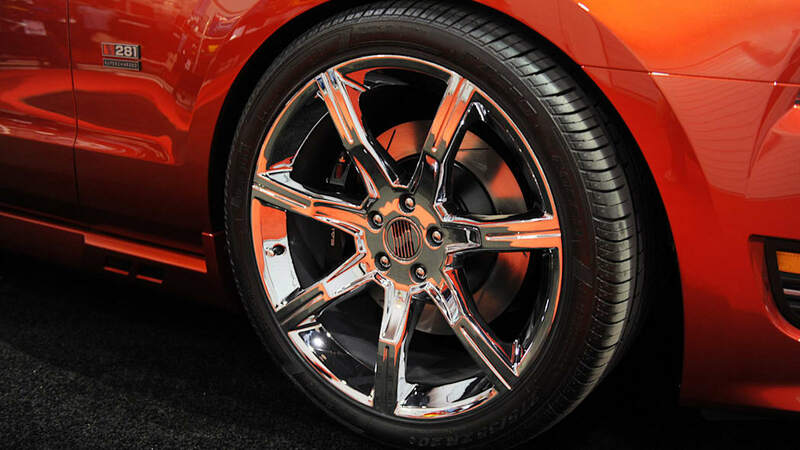 Additional exterior highlights include unique, 20-inch, 7-spoke alloy wheels with Pirelli P-Zero Rosso high-performance tires, and Saleen S281 Supercharged fender badging.